While Snow Dragon® snow melters are easy to use and maintain, below are many frequently asked questions we have received along the way. Search for questions or select a category from the drop-down list and click Go. To view an FAQ, click on the linked question. Why are snowmelters rated in tons/hr and a range of cubic yards/hr? 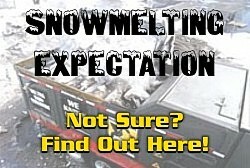 What is the best way to determine real life expectations of snowmelting? Do you have to fill the melting hopper with water before you can start to melt snow? Can you describe the clean-out process? After I dump the snow into the melter, how long do I have to wait till I can dump another load? How many people does it take to operate the melter? 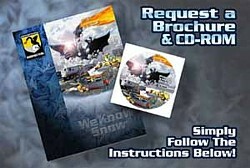 How much water does the Snow Dragon® snowmelters discharge?